Early comic, because I say so. This entry was posted on Friday, November 30th, 2012 at 1:57 am and is filed under Uncategorized. You can follow any responses to this entry through the RSS 2.0 feed. You can leave a response, or trackback from your own site. Hmm, if that’s anyone but Pilli baiting him they might be in big trouble. 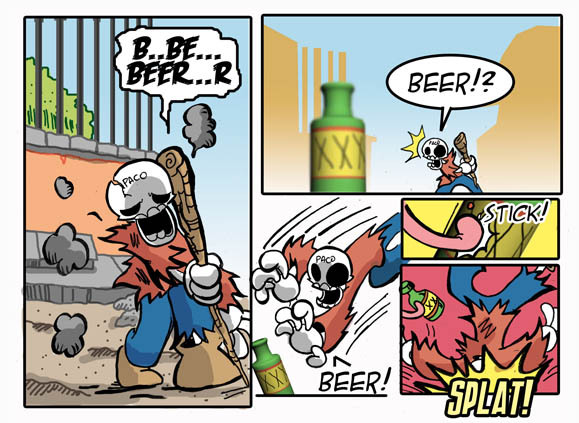 He may get more powerful with booze, but he’s plenty dangerous normally and getting between him and beer is never smart. haha.